After a few days of announcements, the players have been set, and the games have begun. On Tuesday, September 20th, 2016 during compassion week, there was a ping pong tournament to raise donations for the ROC: Resale Shop. There was a great prize at the end! 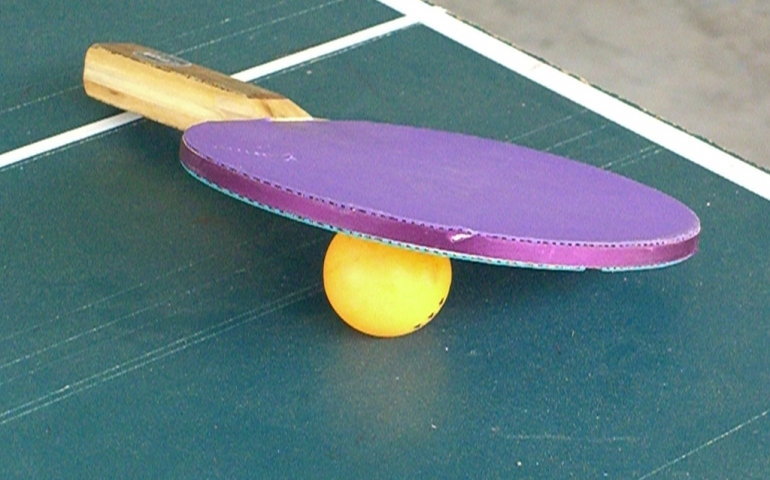 To sign up to play in the ping pong tournament, you had to pay two dollars or donate an article of clothing. In the beginning of the games, they played red robin to kick things off. You win red robin if you score 21 points or win by 2 points. Everyone went against everyone to set players up. It was slow until everyone warmed up and got their game faces on. I asked participants why they signed up for the ping pong tournament. Tim states “it’s always fun to play competitive ping pong, so I might as well sign up”. The Resale Shop: ROC, that the tournament is donating to, has affordable clothing that you can buy. The average price is one dollar and forty-nine cents. A percentage of all sales goes to the ROC. The ROC stands for Reaching Our City. The ROC is an organization, in the northwest Oklahoma City area, that gathers donations for the homeless. They also provide pounds of food, affordable childcare, and a large ministry program to families. All of this information was retrieved from http://www.reachingourcity.org/Donate-Now.html. During the game, there was a lot of high throws, the ball was going everywhere, and there were some crazy hand motions to get it hit over. It was getting pretty heated but after several matches and showdowns, there soon was a winner in play for the twenty- five-dollar gift card to Tinseltown. Drum roll please, it was Timothy Phelps. Remember there may be table tennis going on in the 405 anytime because what a great game and what a great win.